as she started off in the show ring as one herself. Bobbin Hollow Equestrian Center in Naples, Fla.
People first meeting Lark Henry of Bobbin Hollow Equestrian Center in Naples, Fla., see a quiet, hard-working and dedicated young woman. What many may not realize is that this young woman is a third-generation trainer who has paid her dues; earning every honor she and her students receive. Bobbin Hollow riders have been winning top ribbons in the Morgan and Saddlebred worlds for almost a half century. From the first show of the 2006 season at Tampa Charity through Harvest Days in November, Henry’s students have been at the top of the ribbons. She took six horses and five riders to the Morgan Grand National and World Championships. All four students who came up through Bobbin Hollow’s Academy program won championships or reserve championships. Blanche Bauer, Elise Merrill, Lauren Griffin and Ariana Varveris each won world or reserve world championships on five different mounts. Only the trainer settled for a ribbon rather than a top title. Henry has worked hard for her success, following in the footsteps of her most successful parents and grandparents. The Henry name was synonymous with Morgans and American Saddlebreds in Massachusetts. Woody Henry Sr., and his wife, Vivian, began Bobbin Hollow Farm in Amherst, Mass., when their two children were 10 and six years old. The 370-acre farm with a 100-stall barn was one of the larger Morgan and Saddlebred breeding operations in the Northeast. Vivian Henry’s Camp Bobbin Hollow attracted students and counselors from all over the world. The Morgan world recognized the senior Henrys’ ongoing contributions by inducting them into the Morgan Hall of Fame at the 2007 AMHA Convention. Realistically, Henry had little choice about her avocation, although she says she briefly considered a broadcast journalism career. One might say she was bred to be the successful trainer she is. The granddaughter of the late Lyman Orcutt, cousin of the late Bob Orcutt, with Marsha Shepard as her aunt and Louise and Woody Henry Jr. as parents, as she put it, “was sucked back into the horse world. Henry was successful in the show ring from the beginning. 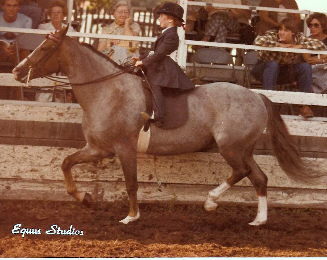 She won numerous top ribbons with the champion Morgan, Roman Prince Ranier, beginning in her walk and trot career before stepping up to canter following her six-year-old year. 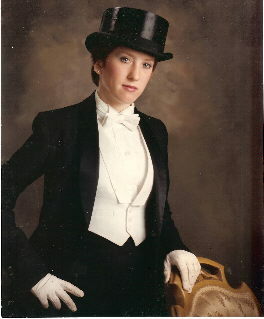 The Henrys purchased the outstanding three-gaited American Saddlebred, CH Private Eyes, for their daughter when she was nine or 10 years old. For six years, they lit up show rings from the Northeast to Kentucky. In 1983, they earned a reserve world’s championship in a class of 12 junior exhibitor 14 and under riders at Louisville, Ky. Retaining adequate help to run a 370-acre operation was a challenge. In 1989 or ’90, the Henrys elected to move to Naples, Fla. While Woody Henry maintains a day-to-day interest as trainer at the farm and its 29-stall barn, Henry also has stepped up as a senior trainer. Being located five miles off the beach on Florida’s Southwest Coast, Henry has faced a few challenges. In summers, they begin working horses at 3:30 a.m., with camp and regular lessons to follow. A nice Gulf breeze helps alleviate summertime temperatures. They have had to run from storms only once, when Hurricane Wilma threatened the area. Henry is a young lady whose cup is always (at least) half full. Her Oklahoma City stars last year included HVK Noble Flame, Junior Exhibitor Park Saddle; Boxford’s Tia Maria, Junior Exhibitor Pleasure Driving; RJH No Doubt, Junior Exhibitor Classic Pleasure Saddle and Junior Exhibitor Classic Pleasure Driving, Celebrity Marquee, Junior Exhibitor Park Harness and True Gold, Junior Exhibitor Pleasure Driving. All of their riders and drivers have additional junior exhibitor years in their future. With an 80-plus lesson a week workload, 29 horses for which she and her father share responsibilities, camps, clinics and horse shows, Henry is, to say the least, a busy person. Yet despite her schedule, she is willing to pitch in to help promote her sport, the horses and children around which she has built her life. What more can one ask of an instructor of the year?